Born José Alberto Inzunza Favela on the 10th December 1990 in Caitime, Sinaloa, Mexico, Joss is a musician, songwriter and singer, best known to the world for such songs as “Me Gusta Verte Arrepentida” and “Cuando Fuimos Nada”, among many other accomplishments. Have you ever wondered how rich Joss Favela is, as of early 2018? According to authoritative sources, it has been estimated that Favela’s net worth is as high as $1 million, an amount earned through his successful career, active since 2003. Joss was introduced to music at an early age, and he himself took an interest in making music. As early as nine years of age, Joss received his first instrument, a guitar, and began taking professional lessons. Just three years later, Joss wrote his first song, which was dedicated to a girlfriend. Encouraged at how quickly he progressed, Joss auditioned for the show “Código Fama”, and eventually reached the final of the contest. Thanks to this success, Joss signed a recording contract and began working on his debut album “La Reynalda”, which came out immediately the next year. He recorded his second album “Andar Conmigo”, but when he didn’t receive the attention and praise he expected, Joss switched to songwriting. This turned out to be a smart move by Joss, as over the years he became one of the most prominent songwriters of Latin songs. He worked with a number of successful musicians, including Julion Alvarez, Larry Hernandez, and the pop band 3BallMTY, winning a the Composer of the Year award in 2015, thus becoming the youngest person to achieve such a thing, followed by another ASCAP award, while also receiving several nominations for a Latin Grammy award. He returned to the studio in 2015, and in 2016 began releasing his new material; signed with Sony, his single “Me Gusta Verte Arrepentida” peaked at No. 25 on the Regional Mexican Songs chart, while it reached the top 20 on several digital charts. 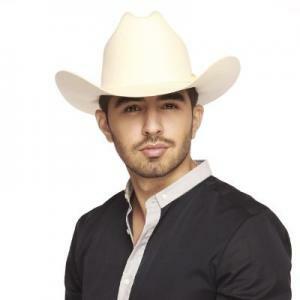 Encouraged by the success of his new material, Joss continued with new songs, releasing the single “Cuando Fuimos Nada”, which also became a hit, and in August 2016 launched his third full-length album – “Hecho a Mano” – further increasing his popularity and net worth as well. When it comes to his personal life, Joss tends to keep his most intimate details hidden from the public eyes, including his relationship status, therefore, no reliable information is available about this Latin pop star.